Meet the hoop pipe that your World Hoop Day donations purchased. We have enough to make about 80 hoops right here. Connectors are coming in the next few days. Let the hoop-making begin! 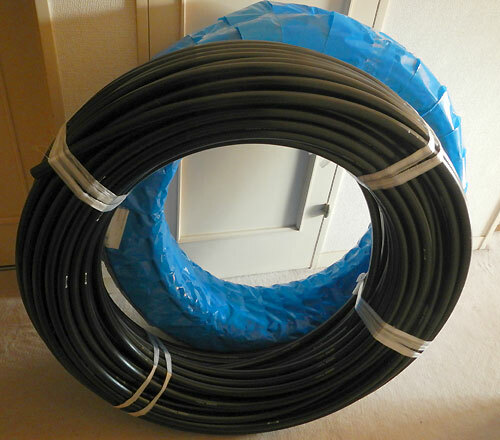 This batch of hoops will be going up to Tohoku for the kids in schools where there’s not a lot of room to play outdoors. I’ll be delivering them in February along with Guy Totaro and Keiko Fukumoto as part of Tyler Foundation’s Smile Ambassador program. I’m excited and honored to be doing this work to spread hoop joy to people who really, truly need it. Thank you to everyone who donated to make this happen – and to everyone who’s going to help me get these hoops made!